Tip: Start with an up-to-date, complete and professional profile. Spend time on your profile – it’s so much more than a CV or a Facebook profile. Find out how to make the most of your profile, by asking an expert or you can research leaders in your industry to get tips. Your LinkedIn profile will usually be the first result in a Google Search for your name. It’s what your professional and business peers, colleagues, clients, industry experts and potential clients/employees/employers will know about you, so make it count! Add to your connections – add the people you met with or have done business with in the past week, or take time to decide which connection requests to accept. 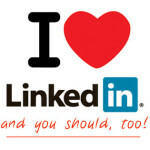 Read here about Who to Connect to on LinkedIn. Update your profile – add new projects, skills, education, refine descriptions or the summary, ask for recommendations, add to your reading list, update events you will attend, etc. Research your industry – find other people who have the same or similar skills as you to get tips, find groups with relevant topics to join, search Answers and LinkedIn signal for relevant discussions or articles. 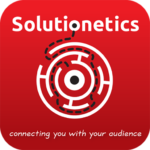 Take part – answer & ask questions in group discussions, suggest experts, individually interact or connect with others, endorse those you have done business with and can recommend. Read, really read – at least one profile or article. Do it every week and you will see the benefits almost immediately! Of course, the steps above assumes that you know what your business objectives are with LinkedIn. It will really help you to start in social media with a clear idea of what you want to do where, how, who to target… i.e. a social media strategy! « Why do you need a strategy for your social media campaign?